...but what it actually is - a combination of Alt and Ctrl. So Alt Gr = Alt + Ctrl. Ctrl+Alt+Shift+Del = Cold Boot (in Rainbow TOS and newer). First few bytes depend on a TOS version. TOS 2.06 synchronizes clock with IKBD, older TOSes doesn't do that (unless some software is loaded). DIN-5 also has 5V and 12V. DIN-7 (for ST) additionally has -12V. 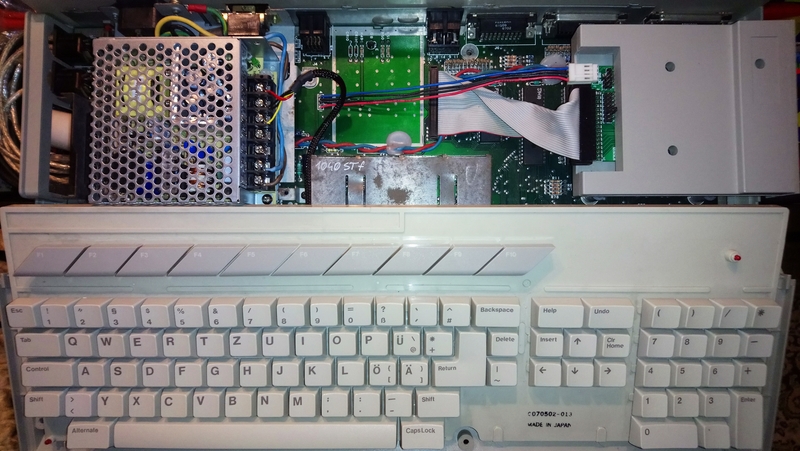 On the forum someone showed SF-314 with DIN-7F power connector - don't know if this was a common version or not, but I haven't seen another one like that. It is DIN-5F on the power supply. So basically, there is a DIN-5 socket on a cable, and plug on the chassis. It has 5V and 12V output, but 12V is not used in last models of FDD. You may use DIN-7 power supply from ATARI 520ST, it will work without any modification, and original plug will fit. I have painted ST case with RAL 7044 and it is far to bright. I think RAL 7032 is a better match. Topic: Does anyone have an original SF314 disk drive With the square button ?? Re: Does anyone have an original SF314 disk drive With the square button ?? Have you opened it and verified if this is an original connector? 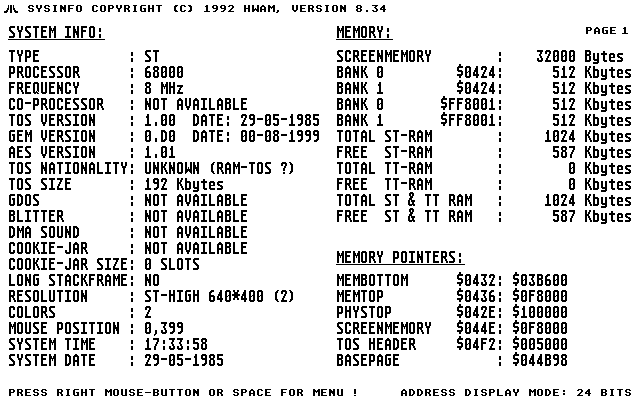 Pinout should be the same, and 2 border pins should be n.c.
TOS was unique to Atari, but its user interface, GEM, did exist in a PC version (actually Atari have ported it from PC). TOS is a mix of CP/M and DOS. 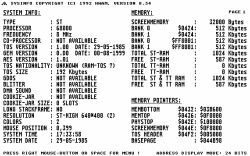 Initially Atari wanted to use GEM on CP/M 68k. Topic: Y2K date fix for 2017? Re: Y2K date fix for 2017? The HDUTIL.PRG is a kind of menu/launcher tool for various other tools. One of the tools allows you to install and another one to configure (R/W Cache, SCSI clock, color resolution) the ICD Boot. PPera was right in what he'd said. I forgot about stereo RCAs, but that shouldn't be a problem to drill two holes. Jaguar paddle ports will not collide with STFM bottom case, they just won't be accessible. Top case is the same, but bottom part in STe has additional cut outs for 2 Jaguar type joypads.